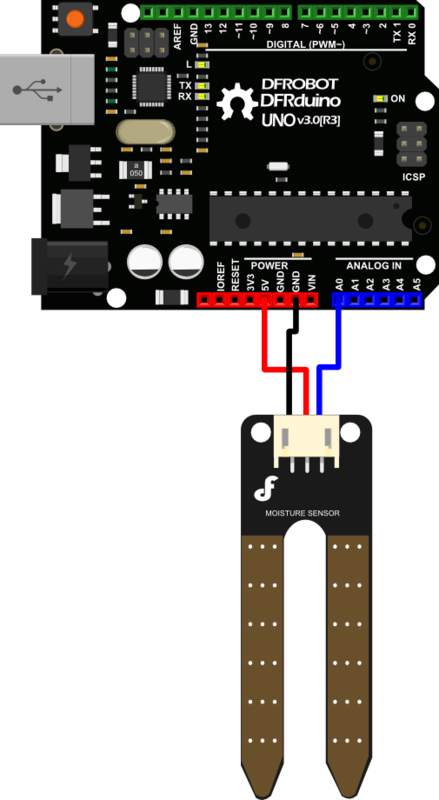 This Gravity: Analog Soil Moisture Sensor For Arduino can read the amount of moisture present in the soil surrounding it. It's a low tech sensor, but ideal for monitoring an urban garden, or your pet plant's water level. This is a must have tool for a connected garden! 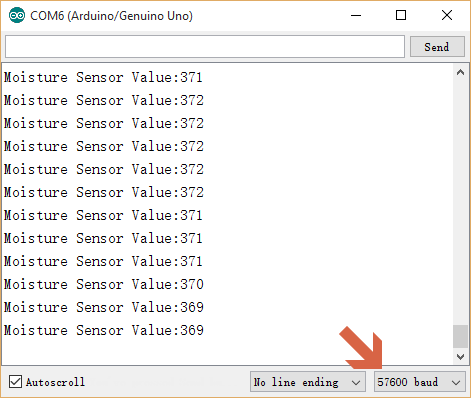 Open the Arduino Serial Monitor, and choose its baud rate 57600 as set in the code. 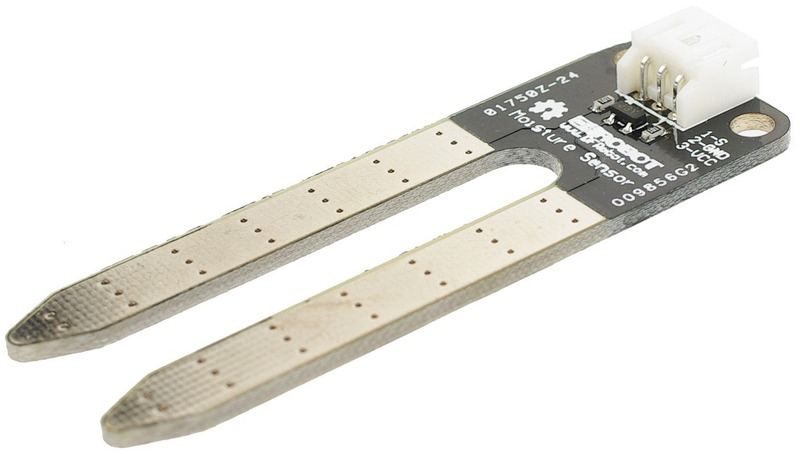 Get Analog Soil Moisture Sensor For Arduino from DFRobot Store or DFRobot Distributor.